A little over three years ago, I went on a pilgrimmage with some people from my local parish to Rome during Holy Week, and had the privilege of going to visit Assisi, as well as a couple of small towns such as Bolsena and Orvieto along the way. Two priests came with us from our parish, one who was only visiting at the time, and no longer with my parish, but who is probably the most wonderful priest I have ever known since I entered the Church. He is articulate, intelligent, genuinely caring, and knowledgeable about the faith, truly energetic and full of the love of God. He is in fact the best advertisement for the priesthood, so to speak, I have ever known. He was my first spiritual director, and I recall how just being around him made me and other people more secure in their faith, made them want to grow more in it. Just being around him was a joy. One day while we were in some part of Rome (one of its museums, perhaps the Vatican’s, but I can’t recall at the moment) we came upon a collection of relics, which were supposed to have belonged to some saint, maybe even someone as important as John the Baptist, whose identity I cannot remember. I don’t recall what the relics themselves were either—perhaps a piece wood, some nails, maybe a few bones I think. What I do remember is that when someone asked this priest friend of mine about the relics (I can’t remember the exact question unfortunately), his face kind of elongated in embarrassment and surprise, and all he said in reply was “My faith doesn’t really require me to believe in relics,” (or something to that effect) obviously discomfited by the subject, the only time I have ever seen him react in that way when he was asked anything about the faith, which he is normally so effusive about. It puzzled me at the time, and his reaction has stuck in my mind ever since. 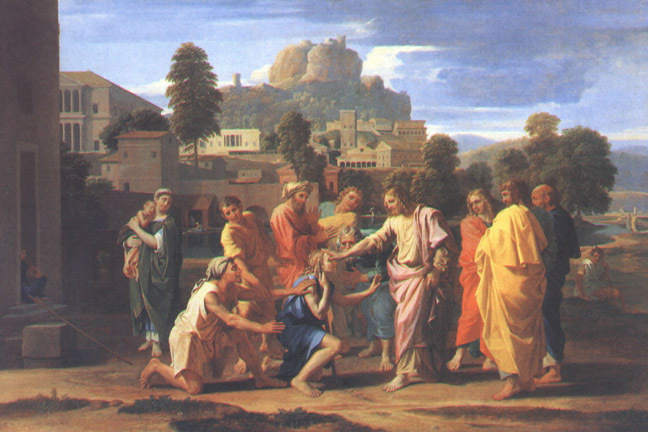 I thought of this little incident when meditating over the Gospel from the lectionary the other day: “And all the crowd sought to touch him, for power came forth from him, and healed them all.” So many times in the Gospels does Jesus heal people by merely touching them; in fact, sometimes they don’t have to touch his actual person in order to be healed. 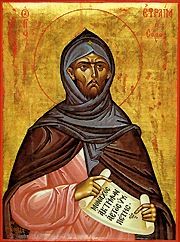 There is of course the story of the woman with the “flow of blood” that lasted twelve years, who merely touches his garment and was healed. The stories relate his power, what God’s power could do for those who believe in it, and the crowds reflect what everyone of faith must feel in their lifetimes, the desire to reach out and touch the divine. But it makes me wonder about relics: what exactly do they have to do with this? Are they even necessary? The belief in relics I know has been badly abused, but does that mean that, for example, the monks down in Oklahoma at the Benedictine monastery where I go to stay occasionally are wrong to bring out their relic of Benedict (a finger bone, if I’m not mistaken) and kiss it, as I did the time that I was there? It all sounds quite strange, too bizarre for modern sensibilities: what good is a dusty old bone to faith? 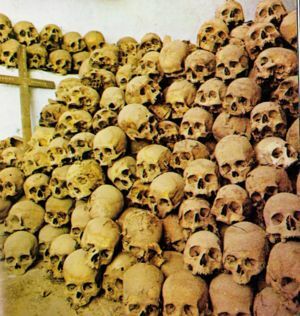 Something of this still exists in a place like the monastery of St. Catherine’s on mount Sinai, in the Sinai desert, that has a working charnel house in which the monks collect the skulls of all their dead who have lived there. They do this partly for practical reasons, as it is hard to find places to bury the dead in the middle of a desert, but they also serve as reminder, both of their own deaths but also of the triumph over death that was made possible on the Cross. Touch is a basic part of human intimacy, is practically unthinkable without it, and helps explain why relics were once so important in the long history of the Church. They may not have been part of the saints’ bodies, but they retain their power precisely because of their intimate relation with the saint, having been worn or touched by him or her. So great is the power of the elect, of those who are called to be saints and so to come close the mystery of God, that even the mere act of touching what they have touched can, in turn, bring us closer to that mystery: precious in the sight of the Lord is the death of his saints. I try to remember all of this whenever I am at mass. There we have the greatest expression of God’s love, of his desire to be intimate with us, in the form of the Eucharistic elements themselves. God wants us to become one with him, to desire him like those people who came from all over Judea merely to touch Jesus; indeed we do not only touch him, but we taste him, too, and by this great mystery he shows that he is here, now, waiting for us to become intimate with him. It is very, very difficult for me enter into this fully, so dull are my spiritual senses; but this is the only hope that I know, and it calls me forward into an uncertain future. I know I must follow the eucharist like the crowds in Judea, and that is my life’s task now, whatever else befalls me. And yes, it even means sometimes trusting in the perhaps dubious remains of the saints, however much they may offend my modern sensibilities. After relaying his allegory of the cave in book VII of the Republic, Plato has Socrates remark to Glaucon that the whole allegory can be applied to what he had said before, in his analogy of the sun in book VI, when he compares the good itself, which allows the soul to know truth, with the sun, which allows the eye to see the visible world, and the myth of the cave represents the ascent of the soul from the visible world to what he calls the intelligible realm, the realm of true knowledge. And then Plato puts the most beautiful phrase in the mouth of Socrates: he says that, though God only knows whether it is true or not, it is his opinion that the form of the good is the last thing to be seen, and the most difficult. How true! We so often only see the physical world, only see the effects of material life, and can hardly imagine reality being anything else. We do indeed live most of our life in the cave, chasing shadows. And yet as beautiful as this saying is, we can say with perfect certainty that Plato was wrong on both counts: the highest good is both the first and the last thing we see, the alpha and the omega, made plain, as St. Paul says, in the creation of the visible world, so that we have no excuse not recognize him, and wrong also because no matter how we strive, we cannot of our own effort see him. This is no paradox. For it is not our striving and seeking to reach out and touch God that makes us able to see him even in sensible things, but his own action, his own desire to touch us in our bodies and in our very hearts, making use of the simplest elements of creation, bread, wine, and yes, even dry bones and rusty nails, to touch us with grace and with his spirit in Jesus Christ. It must be my action now to strive with all my heart and all my strength and all my mind, to reach out with my whole being, to touch him, and be healed. Such is the merciful love, and power of God. ~ by Alypius on September 13, 2008.